Arrive by helicopter to your special horse racing day. Avoid the traffic, the train delays and fly over the crowds to arrive relaxed and ready for a great day out. 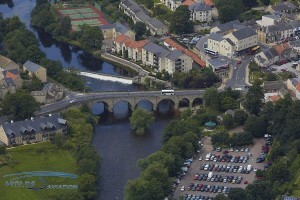 We fly guests regularly to race courses across Yorkshire and beyond by helicopter. Whether you are a serious race goer or are simply enjoying a great day out, flying by helicopter into the racecourse is a wonderful way to arrive. If you’re looking for a fresh approach to a corporate event, flying into the races by helicopter can put the perfect touch to a corporate horse racing day out. 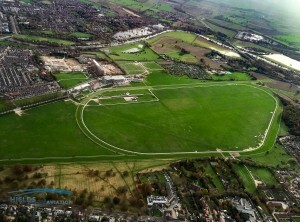 We regularly fly into horse racing events across the UK. 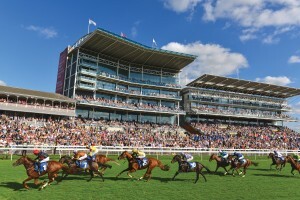 Below are some of the most popular events across the North of England, but we regularly fly guests to other race courses including Cheltenham Racecourse, Newbury Racecourse, Ascot Racecourse, Goodwood Racecourse, Newmarket Racecourse and others.